New York City has always been something of a touchstone for me, so I decided to make a pilgrimage to three spiritually significant spots: St. Patrick’s Cathedral, The Metropolitan Museum of Art, and Central Park. This is the second post in the series. Ah, the MMA. No, not Mixed Martial Arts (though I enjoy that, too!). No, I’m speaking of that bastion of culture and antiquity, the Metropolitan Museum of Art. 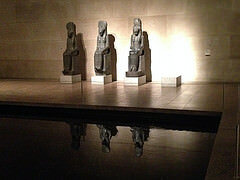 As an archaeologist, all museums and historical sites are holy to me, but the Met holds a special place in my heart. It was my first museum, and probably still qualifies as the most frequented. There was a point in my early teens where I no longer needed a map to navigate its many wings and galleries. I had uncovered just about every nook and cranny, from the Tibetan galleries to the American study collections of silver and furniture hidden at the top of some back staircase. A special Pre-Raphaelite exhibit what was prompted this particular pilgrimage in the first place. It turned out to be quite a small little collection, but with some immensely powerful pieces. It does seem that the Pre-Raphaelites are enjoying something of a renaissance, and I for one cannot complain. I suppose all those wonderfully romantic paintings of Waterhouse, Rossetti, Morris, and Burne-Jones are to blame for laying the visual groundwork for my interest in Revival Druidry (yes, I’m one of those in case you hadn’t already noticed). The Revival Druids are undeniably the ancestors of all modern Druidic movements, for without them and their interest in the lost heritage of the native Britons and Irish, we would not have the robust growth in Druidry that we are now experiencing. But that’s a tangent for another time. The piece in the collection that I found most moving was a plate from The Well at the World’s End by William Morris (happily made available by Project Gutenberg for free, though without pictures). The maiden in armor, the lush vegetation of the border, the camp fire that looks like it could be made of Brigid’s hair–it all creates a portal to another world. Beyond the special exhibit, there are two permanent installations that have always soothed my soul and let my brain slow down, if only for a few minutes. The Temple of Dendur is spectacular, but particularly so at night. Seeing one’s reflection in the enormous slanted glass wall drives home how small we are as individuals, not only in physical size, but in lifespan, compared to the seemingly eternal stones of the Egyptians. Unsurprisingly, I was fascinated by the Egyptian gods at a young age, though they were never beings with whom I tried to build a relationship beyond the academic. Sekhmet was always a personal favorite, though not someone I’d necessarily feel comfortable having over for dinner. That whole getting drunk on blood thing…yeah. With 10 minutes to closing, I had one last stop to make on the other side of the world. 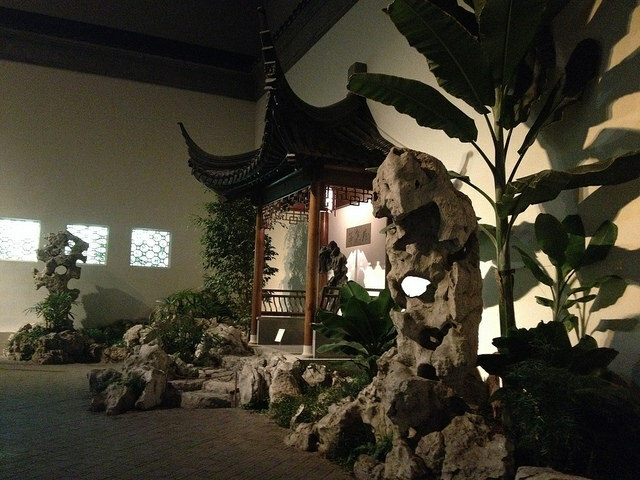 The Astor Court, is the imagined recreation of a Ming poet’s retreat. The ghosts of the pasts are particularly strong here, including one of a little blond girl sketching the rocks from a stone stool. The tall stones represent peaks, while the piles of rocks are mountains. The small fountain in the corner is the source of yin energy, while the hard and bright stones are yang. 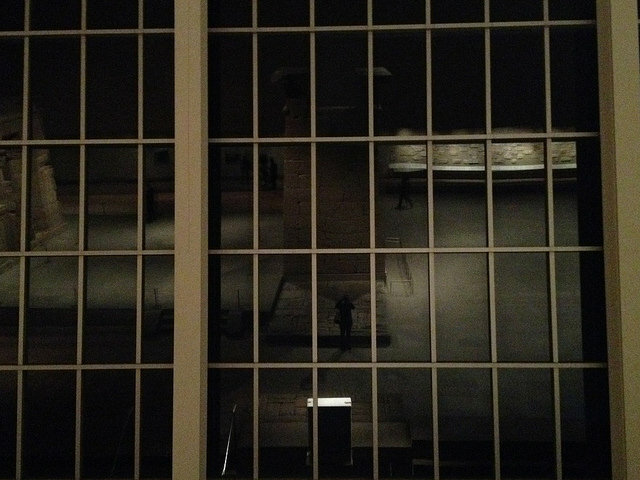 It is a place of deep peace, one even the museum guards are reluctant to disturb at closing time. The Met has the simultaneous effect of firing up the furnaces of the imagination and settling one in the arms of human history. Happy accidents preserve many of the things we value from the past. We can try to be deliberate about what survives us, but it’s not always a guarantee that those who follow will treat our remains and artifacts in the way we would want. It’s a great big, wondrous mess of chance we play, and yet our lives are so much richer for it. The museum always closes too soon. This time was no exception. 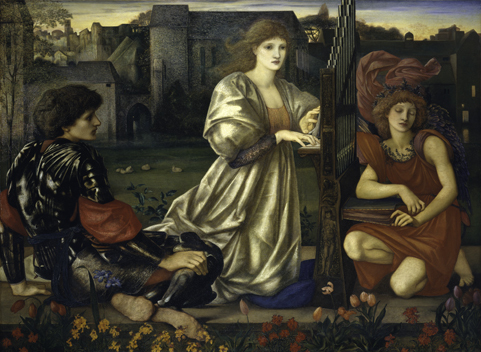 I also have an appreciation of the pre-Raphaelites, for spiritual reasons. I have never been to the MMA, and have always wanted to go, and especially now after reading this. After I’ve been back home for awhile, that might be a trip to plan.